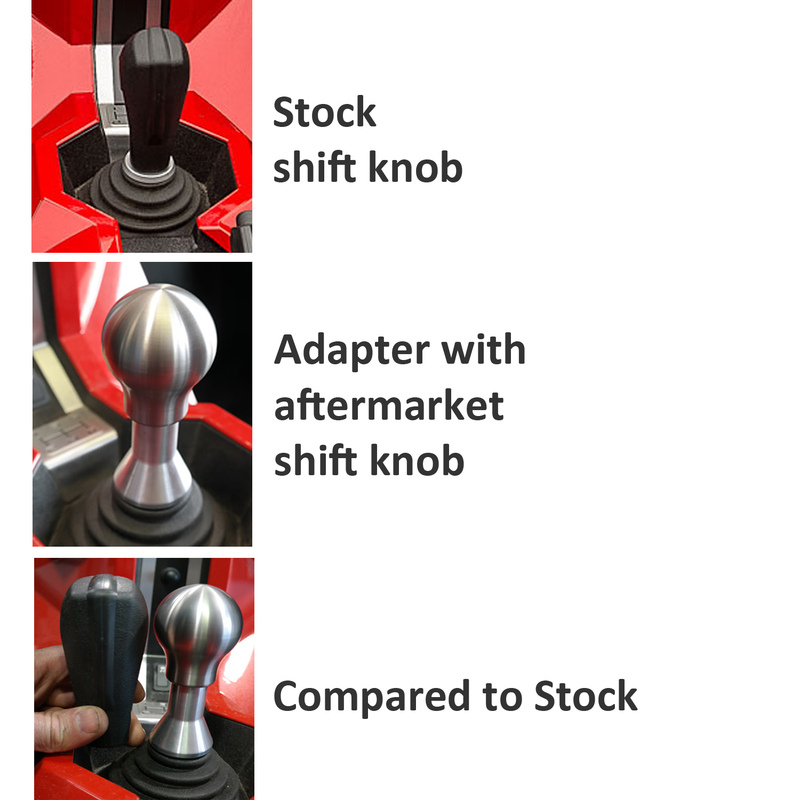 To go along with our very popular short shifter for the Slingshot, we are now offering a shift knob adapter. 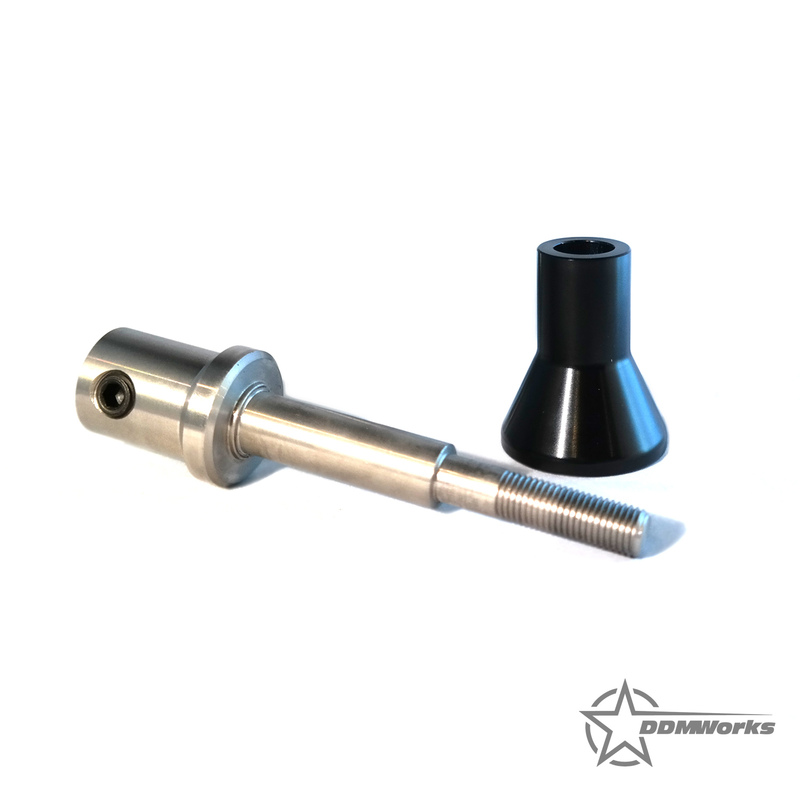 Our adapter is a unique 2 piece design that has a single billet piece of stainless steel for the shaft and a secondary aluminum trim piece for a nice clean look installed. 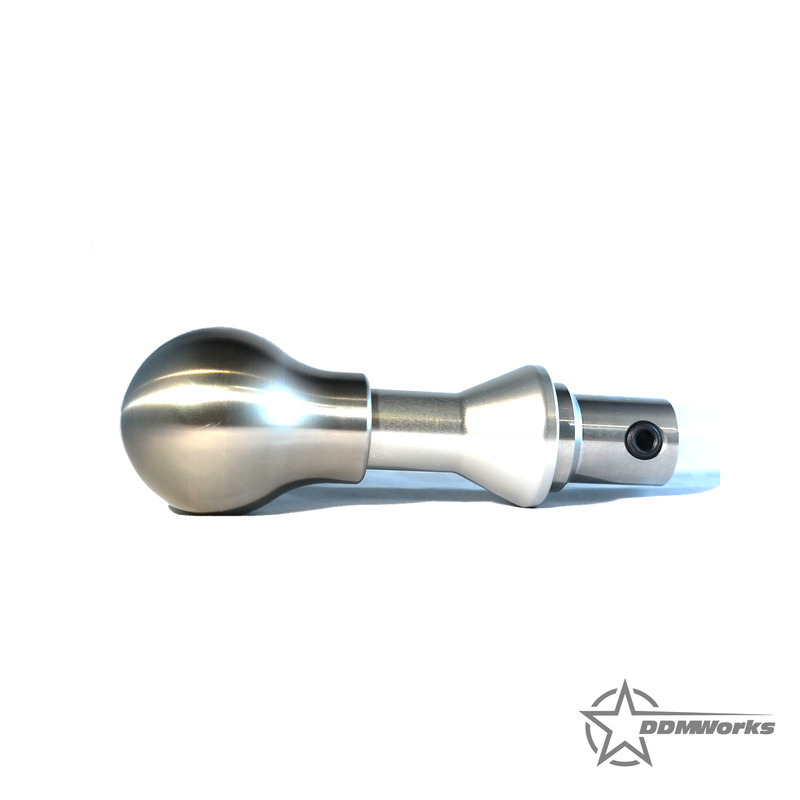 The first piece starts out as a billet piece of 303 Stainless steel that is CNC milled on a lathe to produce a piece that fits perfectly over the shifter mechanism on the transmission. 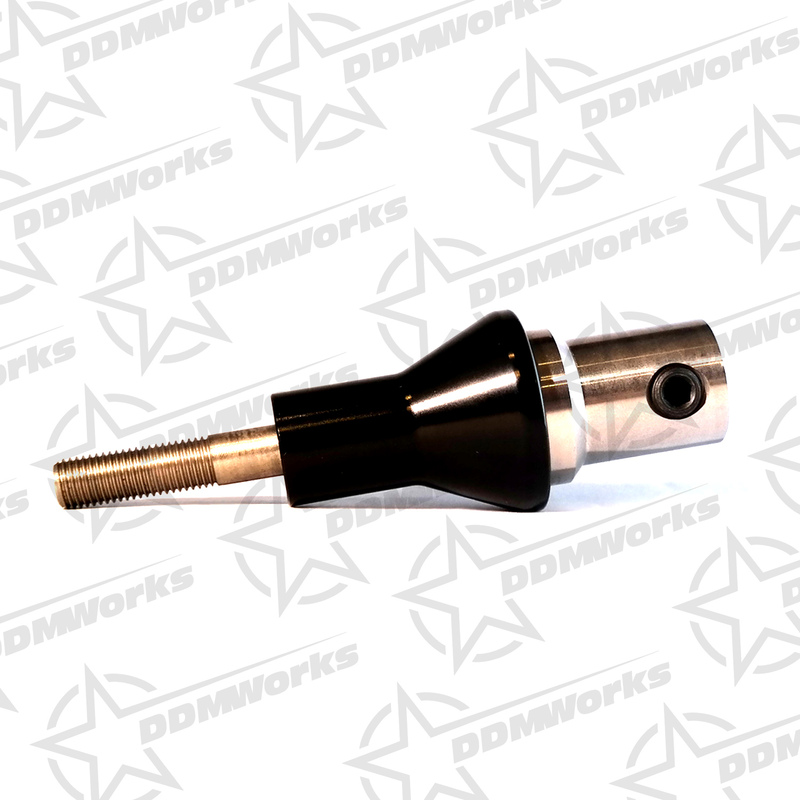 The stainless connection at the transmission provides a strong sturdy connection that extends up through the boot and is then threaded with a common M10 x 1.25mm thread pattern for your favorite shift ball. 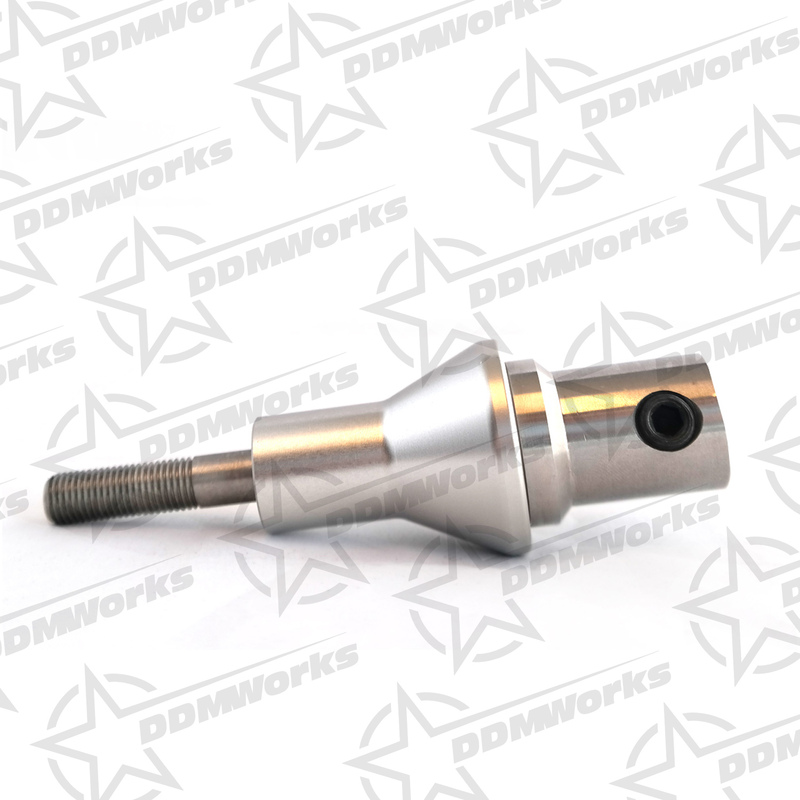 Since the M10 x 1.25mm thread pitch is used in a lot of Honda and Mazda applications these threaded balls are very common to find and often very inexpensive. The second part of our adapter is made from 6061 aluminum, CNC machined into a trim piece that allows you to completely remove the silver plastic piece on top the rubber shift boot. This aluminum trim piece slides over the first stainless steel piece and matches up nicely with the boot, giving the overall install in the Slinghshot a very clean OEM styled look. 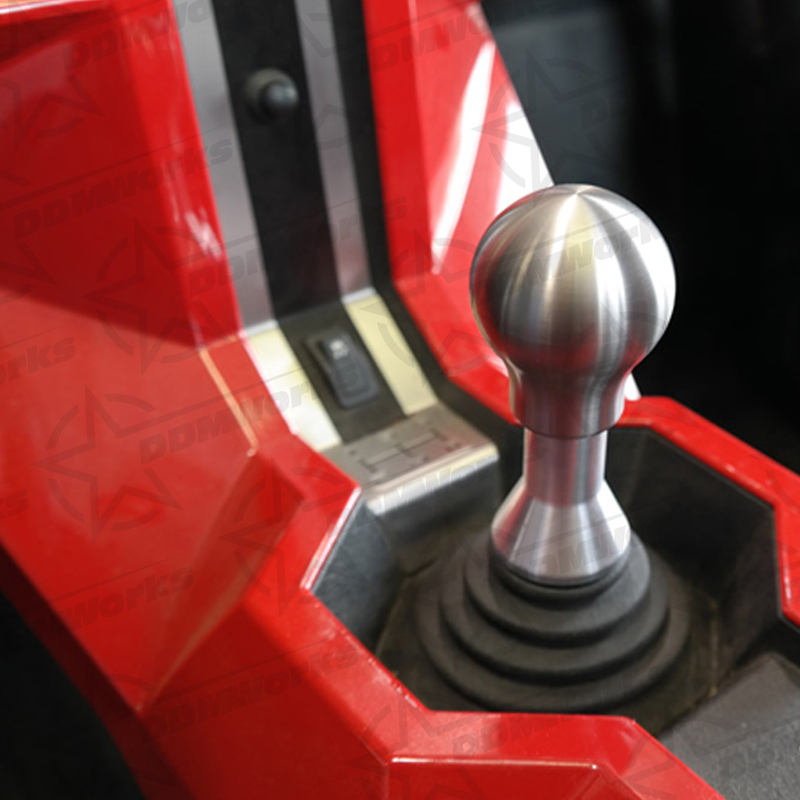 Installed all together with a nice shift knob, this piece not only transforms the look of the shifter to something much more high end, it also makes it a joy to reach down and shift through the gears. Installation only takes a couple minutes to do with simple hand tools. Q: is this a short throw?